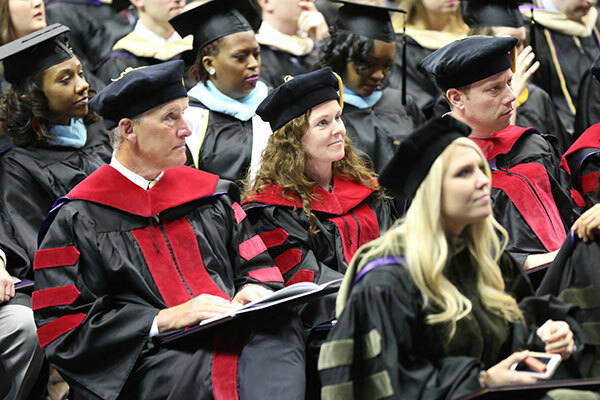 Getting your M.Div. will prepare you for terminal-level studies in theology, but the opportunities that come with this degree are greater. Intensify your faith in Jesus Christ and nourish a spirituality that will bolster your spirit of service. Advance in biblical interpretation. Frame your analytical knowledge of the Christian tradition. We'll counsel you in learning to lead the church in mission despite an ever-changing and diverse cultural context. Choose the cohort model, and you'll also gain the opportunity for integrated learning. And your field work will come with a congregation, faith-based nonprofit or other organization. You'll gain the gift of community relationships. You’ll examine racial reconciliation and social justice in the historic theater of the Civil Rights Movement. We'll nurture you with mentoring, communal learning and ministry training. With priority given to personal health and spiritual well-being, you'll gain strength relationally. Regardless of the model you select, you'll grasp practicing day-to-day ministry with integrity. Reflective habits which illuminate the complexities of people-centered ministry. Traditional: Practicum as mentored ministry placement experience or capstone addressing adaptive changes to a particular ministry context. Cohort: Capstone must address adaptive changes within a student’s specific ministry context. Students may choose additional coursework from available Hazelip courses or may elect to take these hours out of department (ICM, Psychology, Business), either through existing certificate programs or pre-determined course work applicable to the practice of ministry. You’ll have opportunities to engage in meaningful discussion, receive one-on-one faculty mentorship and ask difficult questions in our small class sizes. Plus, you’ll feel supported in a tight-knit learning community. Our cohort model emphasizes communal learning and extended field experiences. You’ll have the opportunity to form professional and personal relationships with like-minded peers that will extend far beyond the duration of the program.